If I’ve learned anything in 20 years of marriage, it’s women who have the creative edge when it comes to domesticity. To them, an empty room is a canvas waiting to be filled with image and design. For guys, it’s everything from a man cave to a sanctum sanctorum in escaping the everyday cares of the world. The difference is that for a man, a room is a place to put all he needs to create his own universe. Television, stereo, books, posters, whatever, it becomes uniquely his own creation. And if he has anything to do with it, the room stays that way until he moves to another domicile or buys a new easy chair. I discovered this fact because my wife Beth is fond of rearranging rooms according to her own lights and designs she picks up online or from other sources. As an example, our bedroom has been in three different rooms since we moved to Vinton a few months after our wedding. More often, the purpose of the other rooms have remained the same. It’s just that the furniture has to be somewhere other than where it is within that space. This, of course, involves moving said furniture, and to say it’s not my favorite task is putting it mildly. Over the years, however, I’ve learned to go along with Beth’s whims and after straining, sweating and picking up whatever accumulated debris there is, I have to agree things look better and allow for ease of movement. My mother did the same with the living room furniture, giving it a spring and summer look that sometimes stretched into fall, but was definitely different by winter. On one occasion she moved everything around in my room, much to my displeasure when I came home from school. I then earned hers when, in a fit of independence and a harbinger of things to come, I moved it all back the way it was. Because I liked it like that. This desire to switch things up is called, Beth tells me, nesting. The reason I had such a tough time coming around to her way of thinking was in seeing the last remnant of my bachelor life vanish, when I’d arrange a room one way — and keep it so for years. After residing in furnished apartments or mobile homes where I didn’t even dare change anything around, I obtained my own place in Rio Grande, cleaned up after the previous tenants, bought some furniture, put this here and that there, and became eminently pleased with what I had done. Like a lot of male thinking, though, I concluded it was a task completed and in need of no further consideration. True, there was no imagination involved other than it felt right, so why mix it up? Besides, where I hung my hat was occasionally only a place to bed down for several hours before starting another day of running around in the service of whoever employed me. Home was my refuge and there was a certain comfort in finding everything in its place and as it should be. Heck, I even cooked my own dinner on Sunday — even if it was always spaghetti. So I had developed some habits before I was married, and either abandoned them or saw them change afterward. The biggest came when I found myself at home more — and free labor for Beth’s latest arrangement scheme. Yet I adapted to it and reached the point that it was better to simply do it rather than dread the task. Nowadays I’ll help her with her nesting ideas. All I ask is that we just leave the TV where I can see it and have a comfortable spot to sit. For a man, that’s pretty high on the hierarchy of needs. In the hours and days since his passing last Monday, tributes to Robert Dean Gordon have been plentiful and deserved, illuminating facets of his life perhaps unknown to some folks, and celebrating how his presence touched so many people in Gallia County and beyond. Known as Bobby Dean or simply Bob, he was noted early for his tremendous talent for song and its interpretation, but as those of us who knew him can testify, there was so much more to the man than that magnificent voice. 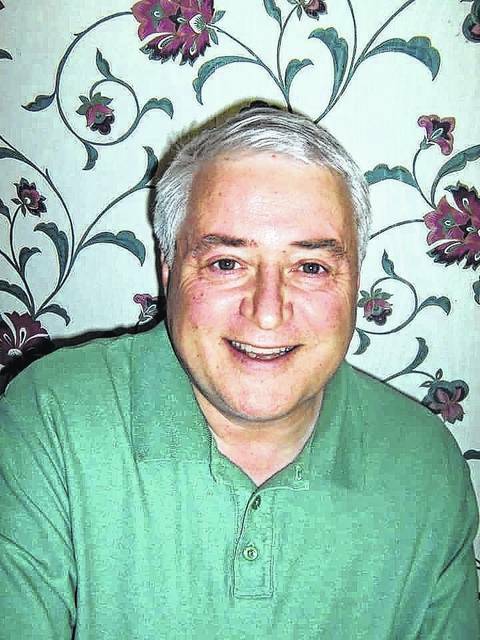 I first met him in 1980 in his senior year at Gallia Academy High School, when, as a newcomer to Gallipolis, I fell into the habit of hanging around Hobart Wilson Jr.’s residence, then on the 400 block of Fourth Avenue. Bob and Junior’s family were close friends, and after a few more meetings I could tell he was a young man who was going places after graduation. Bob did so, but he never forgot his hometown or left it behind, settling there and raising a family while giving his all to the community. Between work and other commitments, he remained in the world of theater, causing me to discover what a pleasure it was to work with him during the 1996 production of the classic farce “Arsenic and Old Lace” at the Ariel Theater, in which he was cast as villainous Jonathan Brewster. I had another part in the play, but filled in during rehearsals for Phil Luckeydoo, who was Doctor Einstein, Jonathan’s comical partner in crime, when he was unavailable. I found Bob had an instinctive command of the stage that lent an assurance to his portrayal, making the nights I read aloud Einstein’s lines and we played off each other a huge part of what was an enjoyable experience. Only weeks ago, Beth and I found ourselves in the Arthur G. James Cancer Center in Columbus at the same time as Bob and his wife Sherry, who were just a few floors above us. We asked Sherry via Facebook if there was anything we could do for them. She thanked us and indicated things were in hand as they awaited a room for him. It was the least we could do for Bob, who had over the summer advised me some on my own health issues. Which was so much like Bob, to help when things got tough on the not-so-dissimilar paths on which we traveled. Rest well, Bob. You are gone too soon, but you have left a good many memories and friendships in your wake.